NP GroupBlogDesignWhat Makes A Website Credible? A harsh reality of the business world is that websites come and go. Some sites stick around, and others are gone almost as soon as they’re put up. And some websites actively try to deceive or defraud. All of this has made the general user pretty wary when it comes to visiting new sites—and really, who can blame them? 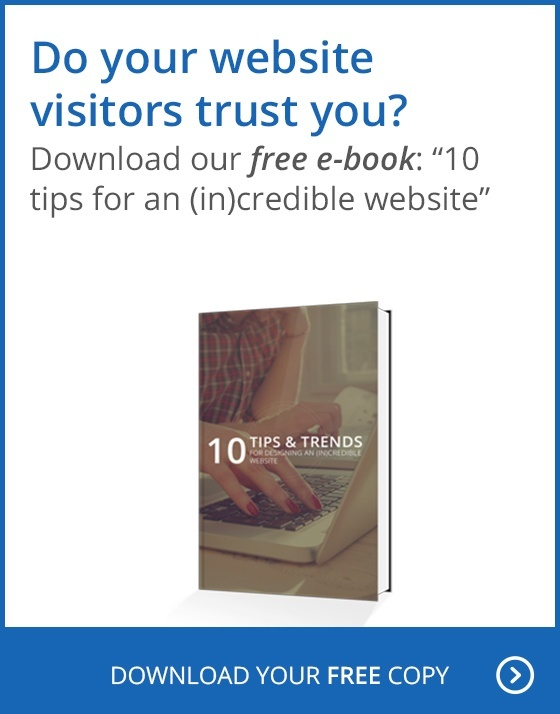 There are literally hundreds of millions of websites on the Internet today, but of them, only a relative handful offer some value to their visitors. Good custom web design (and related features) can build the credibility of not only your site, but your company as well. It sounds basic, but it’s true that people do judge the credibility of websites by the very first thing they see, and often, the VERY first thing they see is the domain name Whether right or wrong, people still prefer to see ‘.com’ domains as opposed to some of the more obscure top-level domains. Likewise, they like domain names that are relatively simple to remember and type, and are less likely to trust a domain like SellMeYourUsedCarIWillBuyYourImportCar.com. Maybe nothing says credibility more that a website design that’s professional, well made, and designed to support the company’s business. It’s never been easier to get a basic website design and work with templates and clip-art to get a basic site up and running. And for really small websites, personal sites, and single-person ‘hobby businesses,’ a template-based website might actually work. But for any business that plans to do most of its business online, and is serious about growing their revenues, custom web design is an essential ingredient. Just as a solid domain name and custom web design are important to the initial credibility factor of your site, so to is custom-made content that speaks to your customers about the subjects behind your goods and services. For instance, you might sell gardening supplies online. That’s great, but quite frankly a lot of sites sell gardening supplies online. But if you can create content about gardening itself, that educates your customers about tips and techniques and things they can try in their gardens, it’ll build a huge amount of credibility about your site in their minds, and make them much more likely to also buy from you. People like to buy from companies that are “into it,” i.e. truly share a passion for the activity that your products support. Custom web design is about more than simply making a site look good—although that is important as well. Rather, complete web design takes into account not only the look of the site, but also the usability of the site, and intuitiveness of the design. User experience and user-interface design is a key component of custom web design, and it takes into account things like button placement, messaging on a page-by-page basis, workflows and process flows, and all of the things that go into making your website a seamless, easy process. Users notice sites where thought has been put into the functionality of the site, and ascribe more credibility to them. If possible, one great way to build credibility is to show links to your site from other sites that are already known, or mentions of your company by trusted news organizations, blogs or other third-party sites. Likewise, if you've partnered or worked with a company that's already well known, finding a way to show that on your site goes a long way towards building credibility. Nothing sends up red flags for visitors like a site that doesn’t show anything about your company. In other words, sites that use nothing but stock photography, don’t tell users anything about the people in the company, show any locations and offices, or tell visitors anything about the company itself appear to be fronts, or engaging is some kind of deception, whether it's true or not. Almost every one of these concepts is like a small industry unto themselves, and there are designers, developers, and marketers that are available to help, as well as digital agencies (like us!) that handle various aspects of a web project. The key is to recognize those areas of building an online business that you can do yourself or with your internal staff, and those things that make sense to outsource. Good web design is a very involved process, composed of equal parts art and science, and it can use up an enormous amount of time and resources. Working with professionals can help you get a feel for those elements of your website that could not only be enhanced to show credibility, but also give you new ideas and insights into designs that build your business.